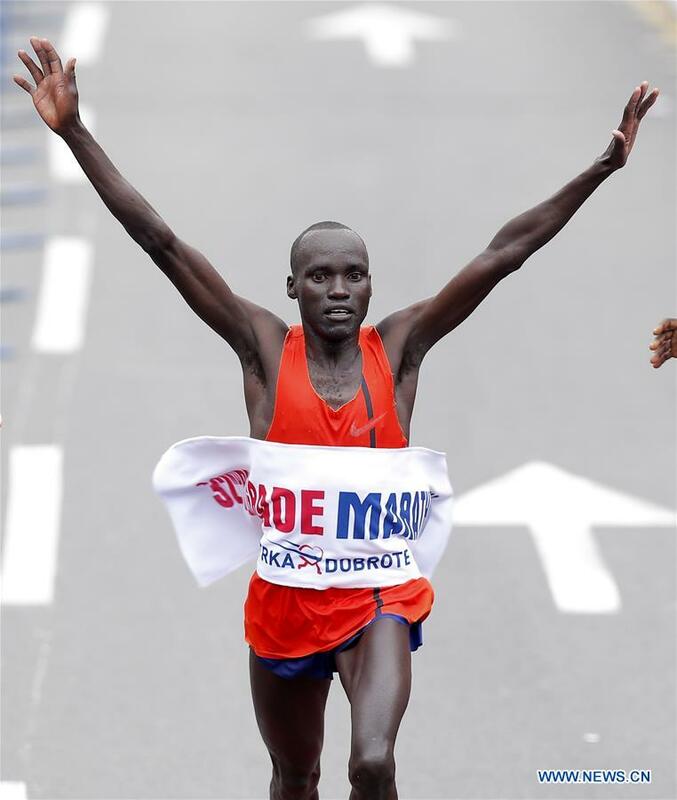 BELGRADE, April 14 (Xinhua) -- Kenyans Isaac Kiprop Rutto and Judith Jeptum Korir are the winners of the 32nd Belgrade Marathon which took place on Sunday in the capital of Serbia with over 8,000 participants in marathon and half marathon races. Rutto overcame the 42.195km route through the streets of Belgrade in a winning time of 2 hours 16 minutes 54 seconds in the men's race, while Korir won the women's title in 2 hours 45 minutes and 4 seconds. "This was best marathon so far," said Rutto after the race, adding he felt great in Belgrade, and enjoyed the views. Rosina Jepkosgei Kiboino, also from Kenya was second in women's competition (2:46:09), while Nevena Jovanovic from Serbia ended third (3:00:37). Besides the 42.195km race with around 900 male and 200 female participants, the event held under the slogan "Enjoy, Run and Help Someone" included a half marathon of 21 kilometres and the pleasure run of 5km.